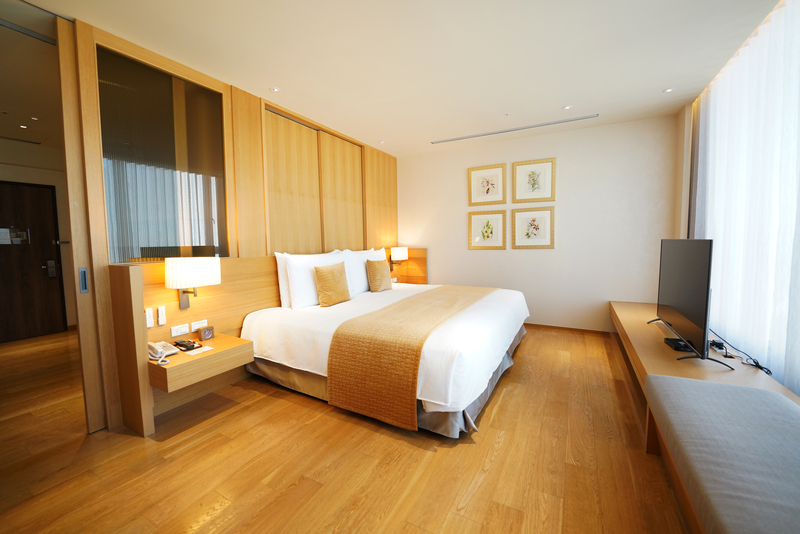 Refined and simple, the room has a warm and classic wooden furnishing design. 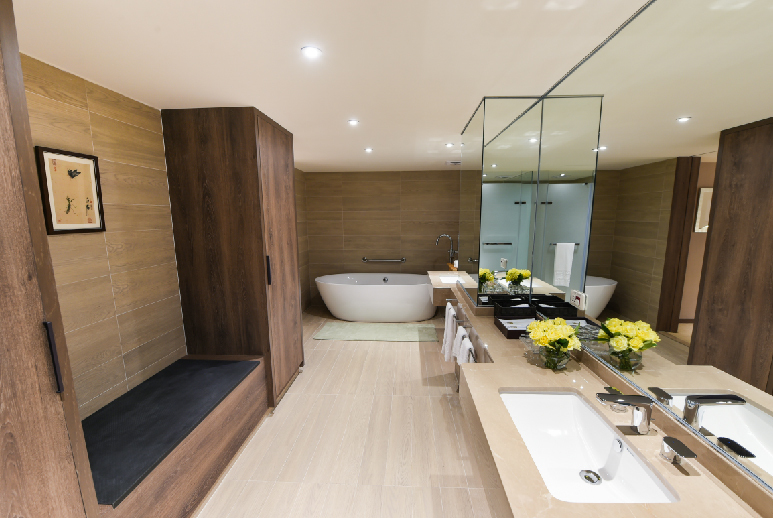 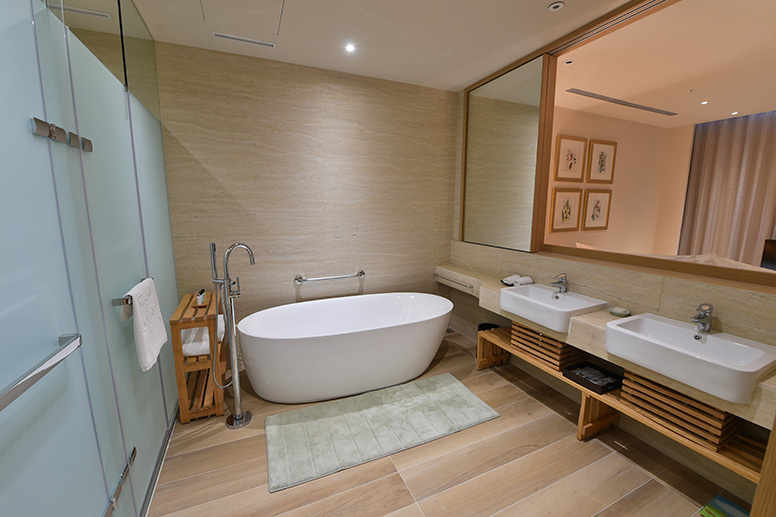 While busy with the duties and stress at work, one could relax and spend some time in this tranquil, private place. 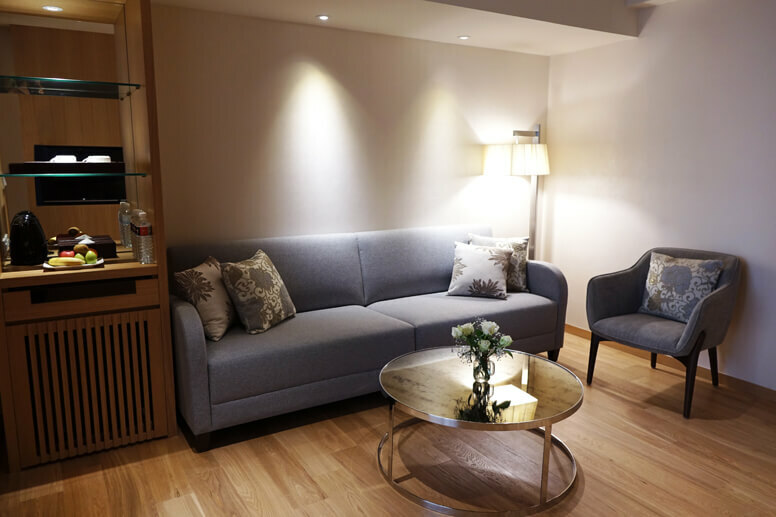 The office furniture is of simple yet classic design, the lighting is appropriate, all the internet devices that you need are at hand…we provide you with a personal space that is even more comfortable and convenient than your own home. Guest room amenities: central air-conditioning; ethernet ; Wi-Fi; 110V and 220V power supply; CATV; refrigerator; bottled water; instant coffee/tea bag ; LCD TV; stationery. 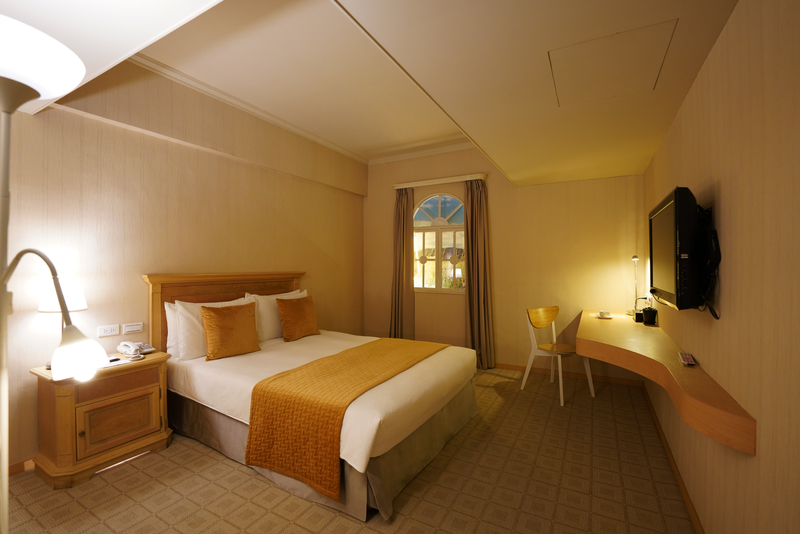 Accessible Rooms available for reservation. Please reserve ahead. 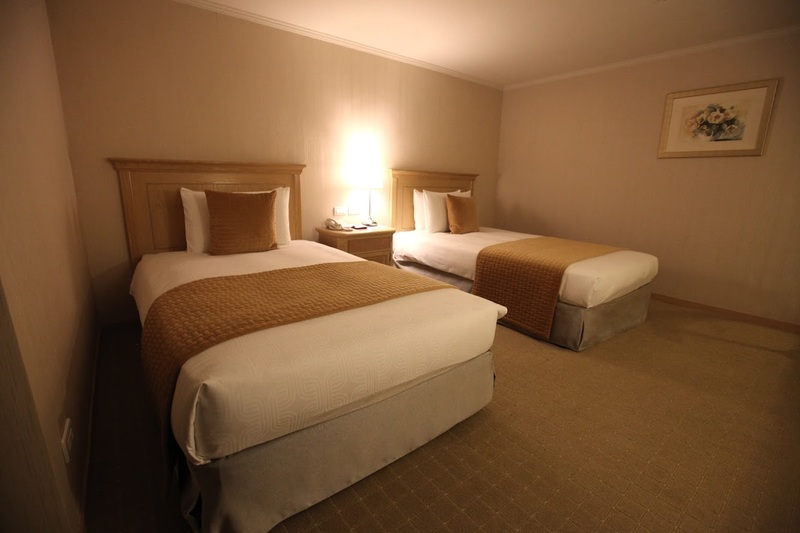 No pet-friendly service room available; please do not bring your pet with you during your stay in the Hotel. 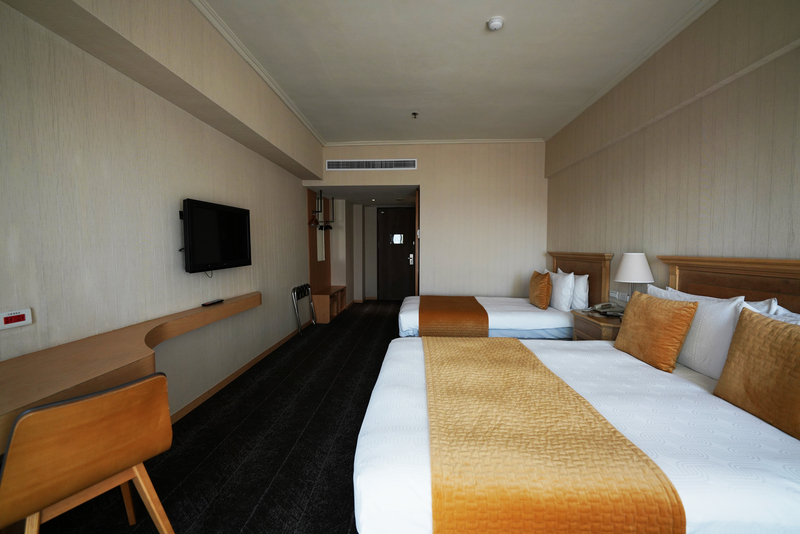 According to the Tobacco Hazards Prevention and Control Act, smoking is prohibited in all areas of the hotel. 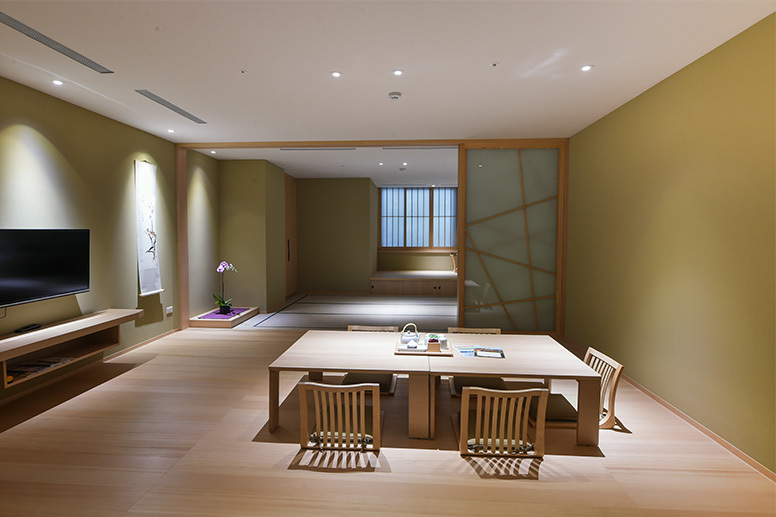 The room has a square interior structural design. 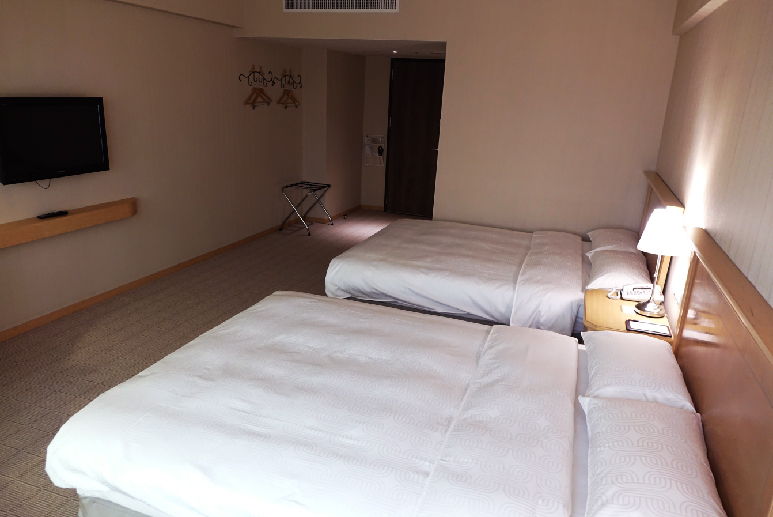 Two Single beds are arranged inside the room. 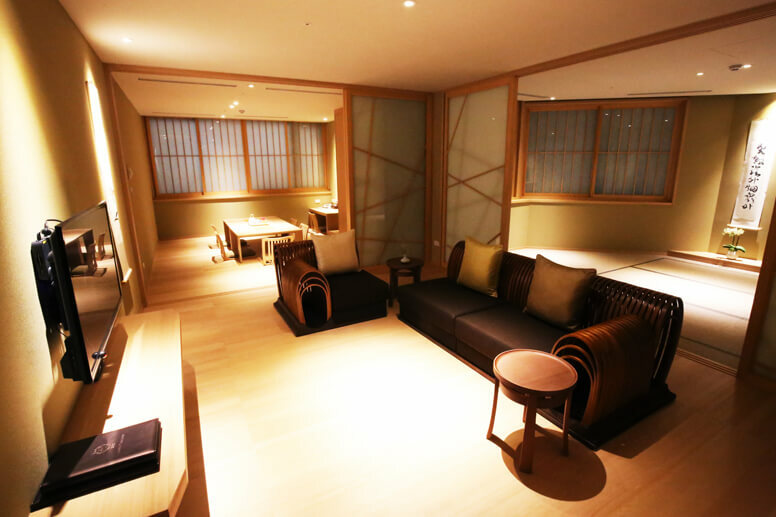 In this comfortable environment, distance between people is shortened; and, no matter friends or colleagues, you could share conversations, thoughts, stories together, or go to the Fitness Center or the café and enjoy your life in this cozy, relaxing evening. 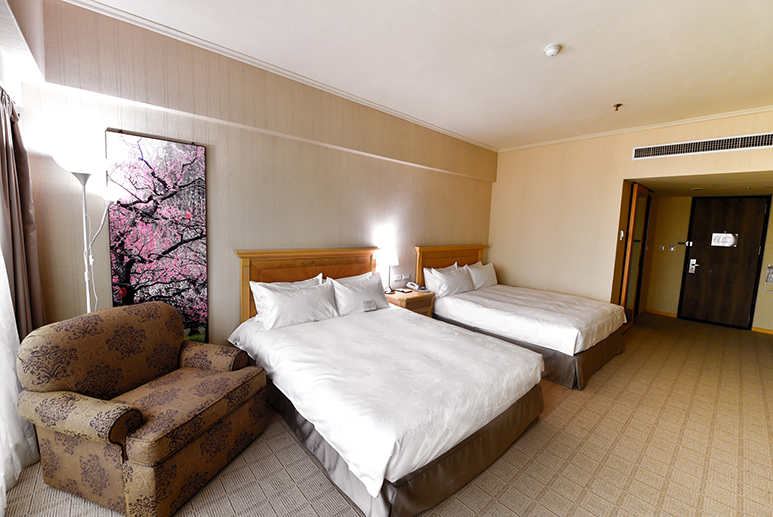 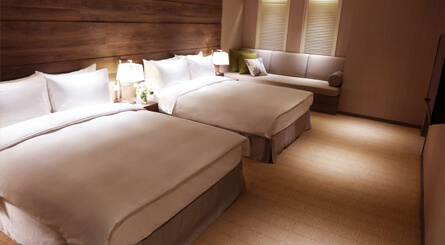 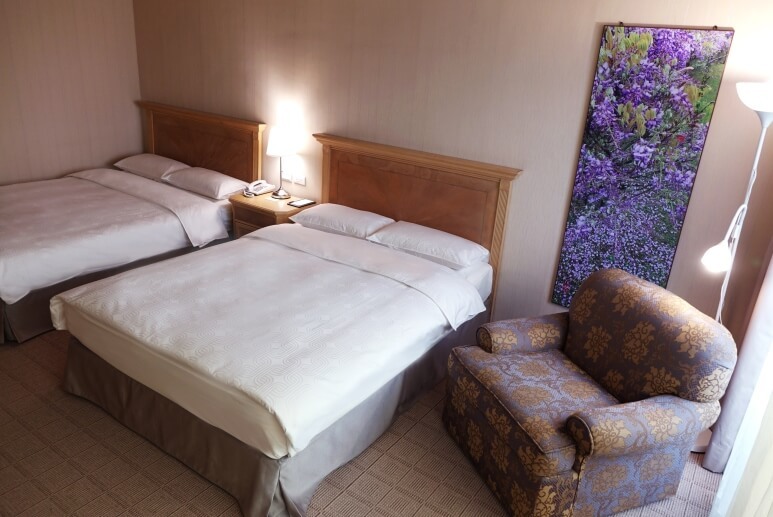 The triple room is exquisitely designed to allow a group of guests to enjoy a pleasant holiday. 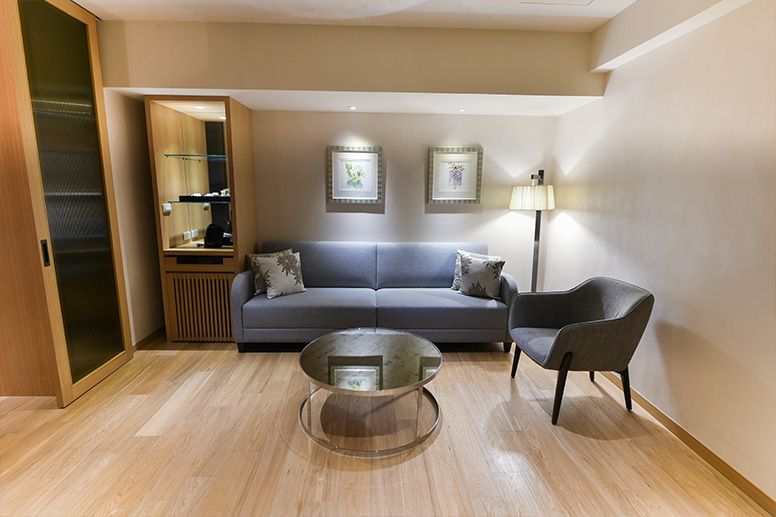 In this private space, we provide comfortable furniture and appliances and delicious refreshments and drinks to welcome your stay at the hotel, hoping to leave you a pleasant memory. 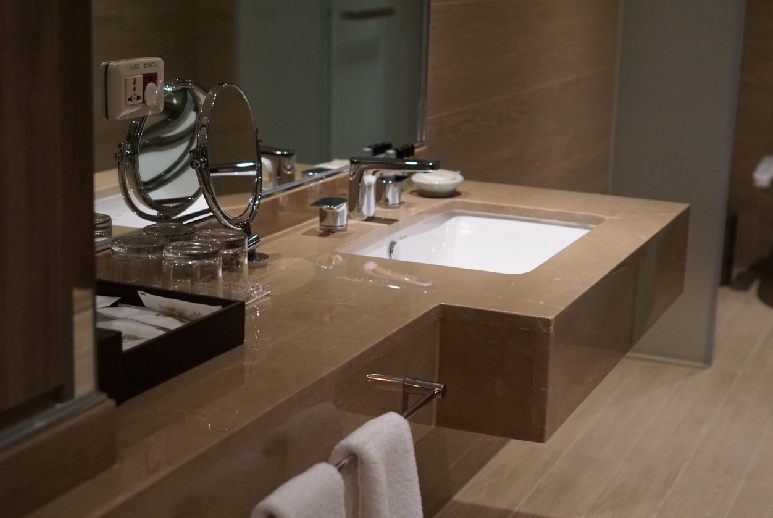 Hotel bathroom amenities: bathtub; tooth brush; tooth paste; razor; shampoo; body lotion; body soap; shower gel; shower cap; comb; hair dryer; sewing kit; cotton buds; hair conditioner. 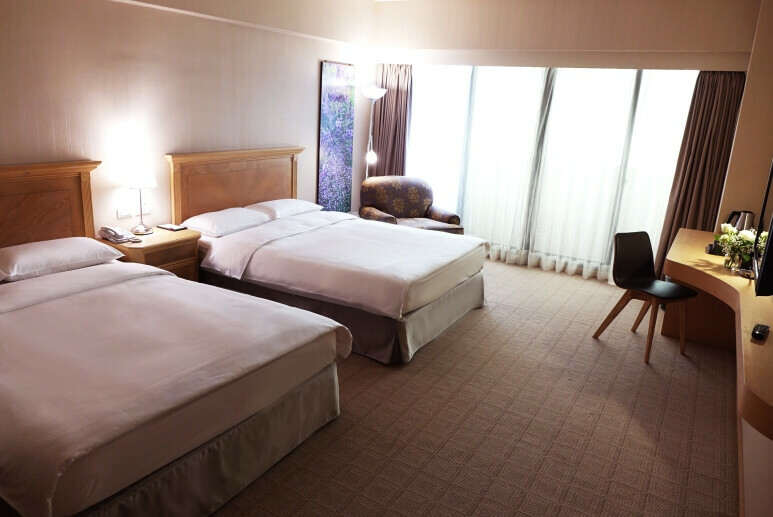 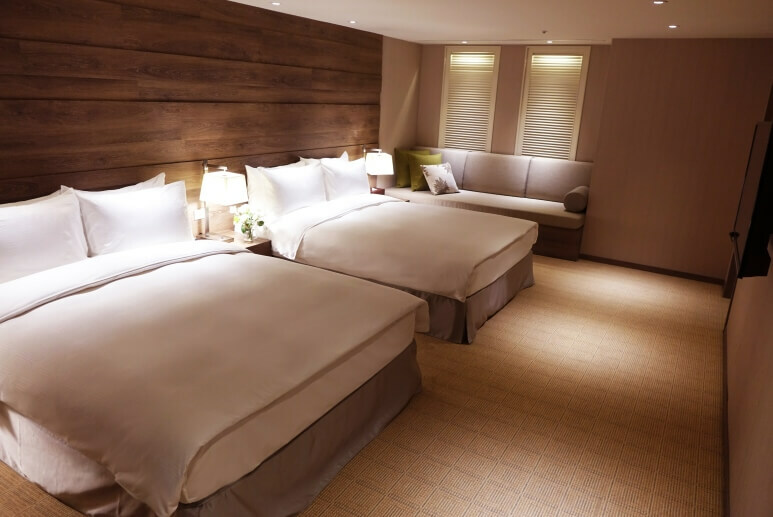 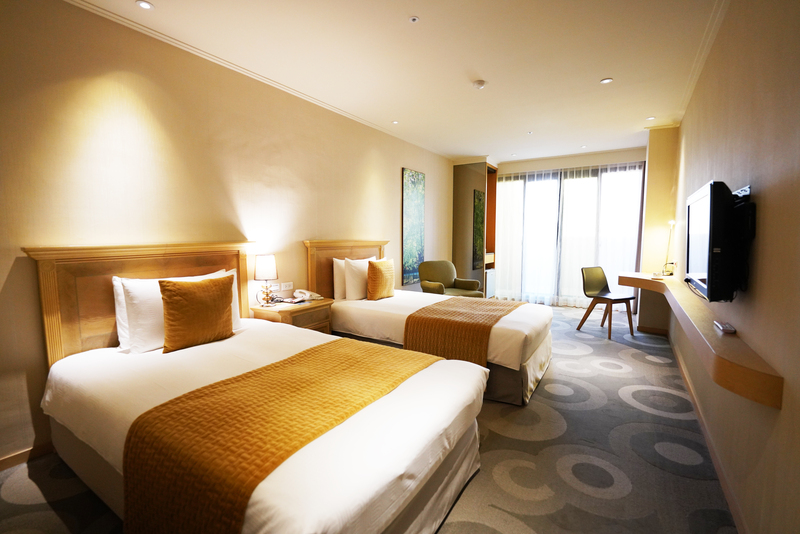 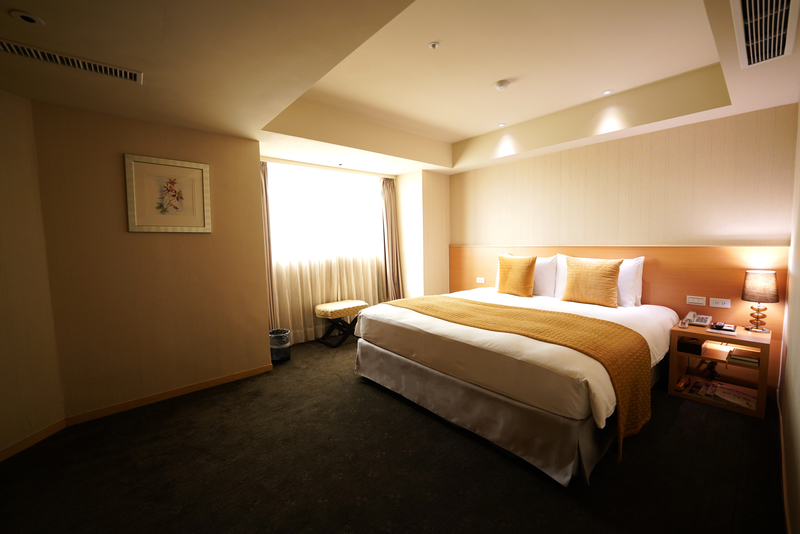 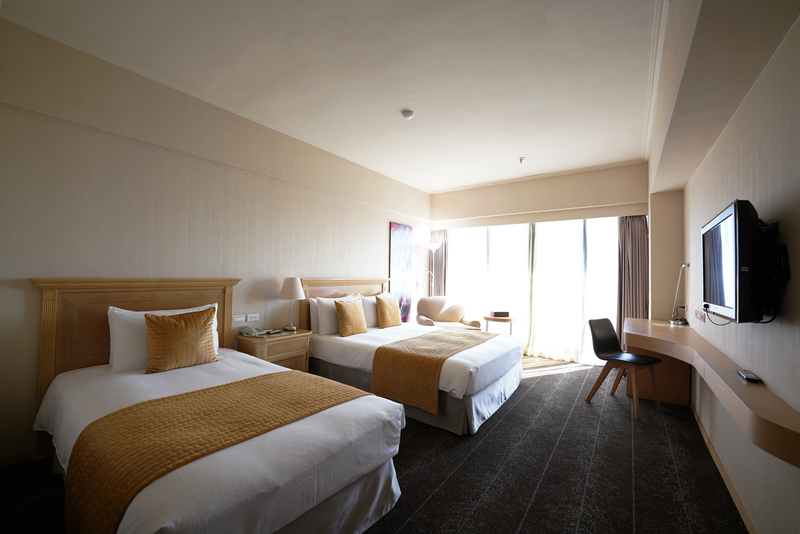 Family members may spend their time together in the hotel, enjoying a relaxing vacation. 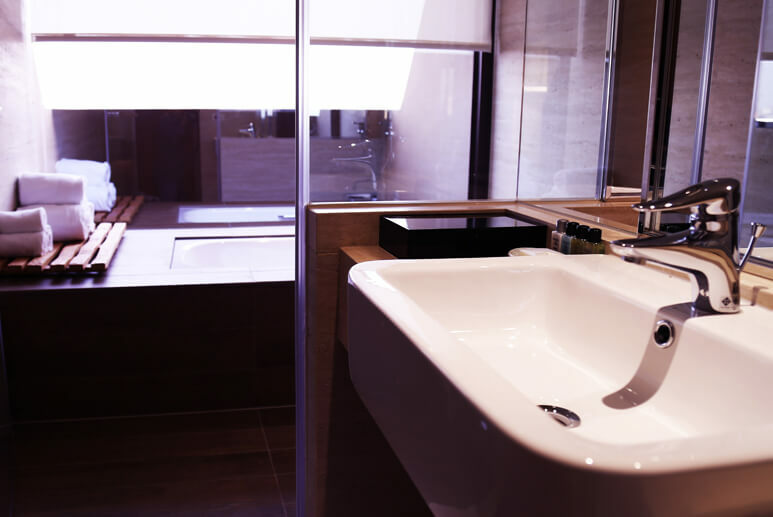 No more worries about household duties; a neat and clean environment is provided that you could see and feel from the moment you enter the room. 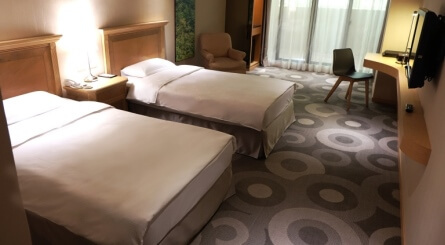 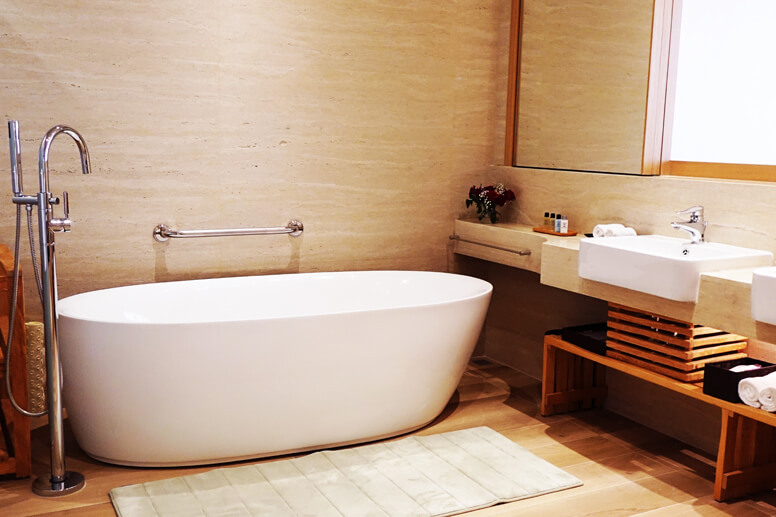 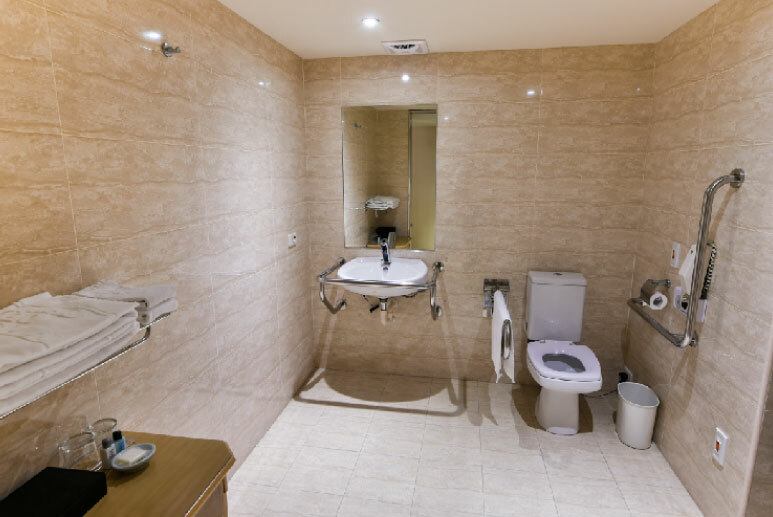 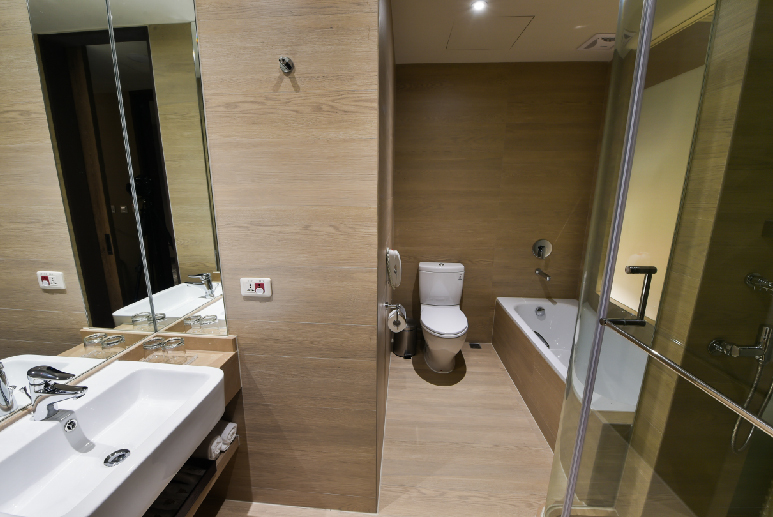 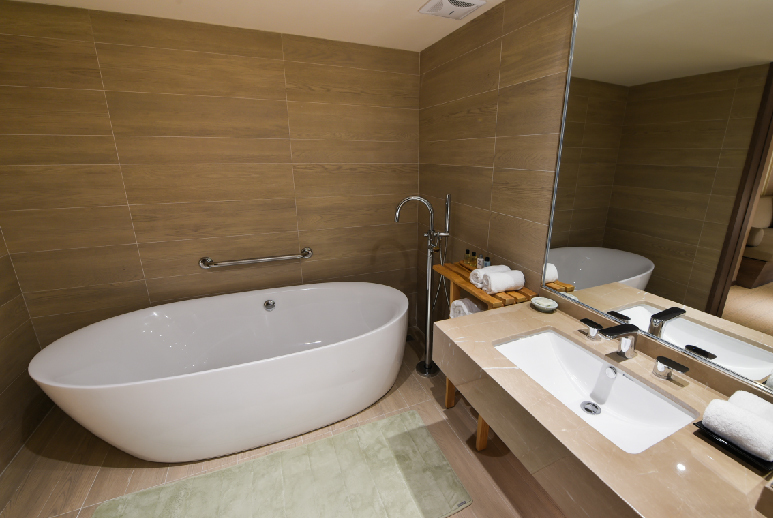 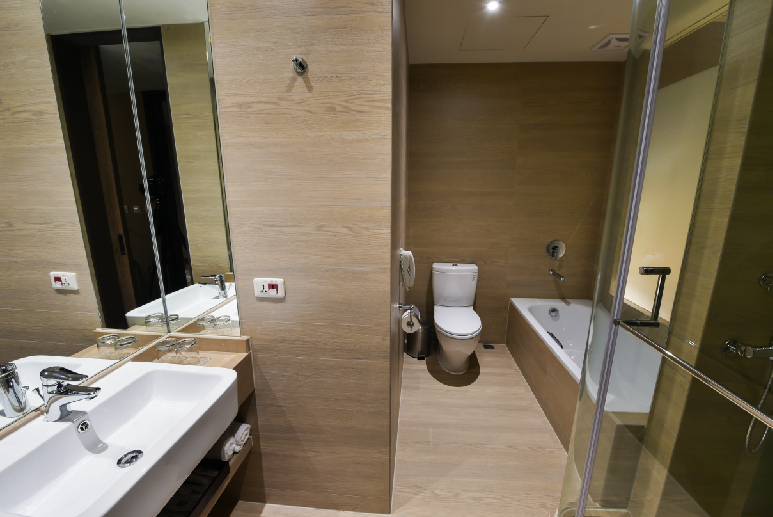 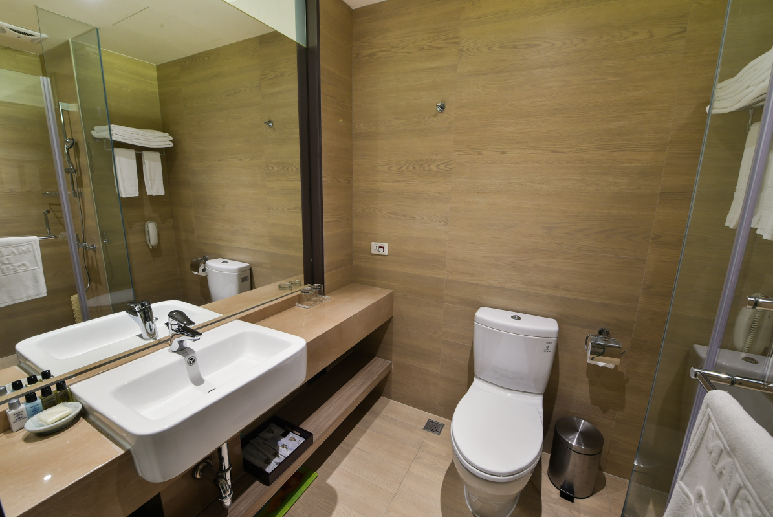 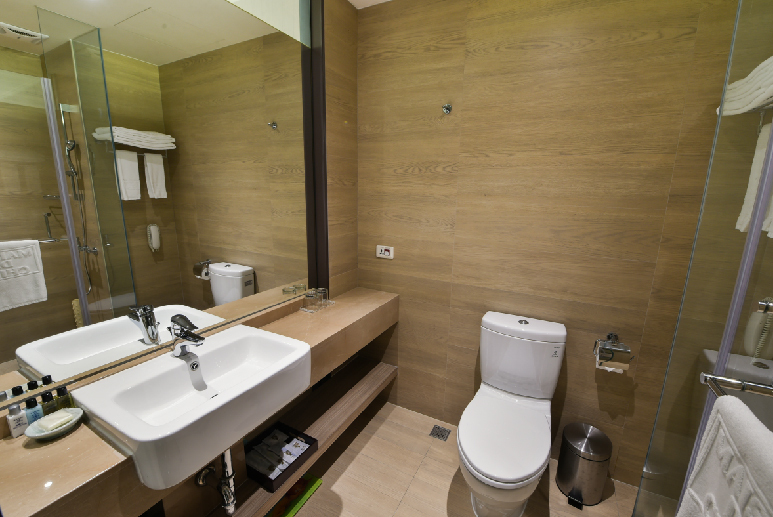 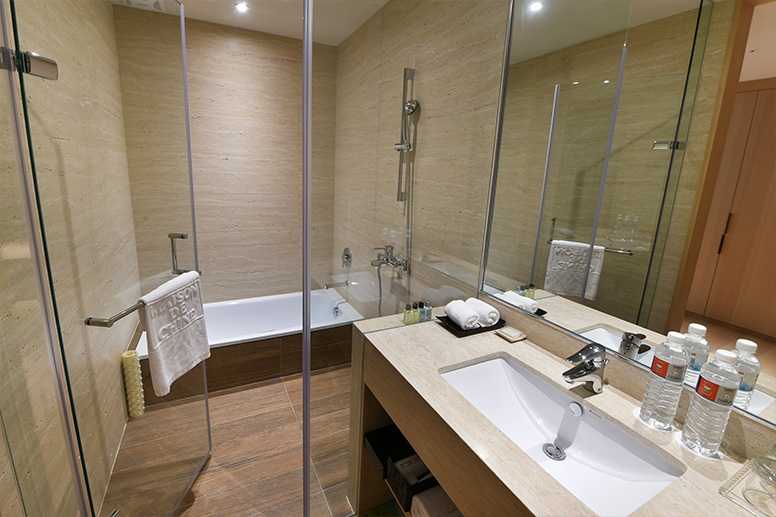 Further, flameproof carpet is used in the room and sanitary ware in the bathroom is disinfected every day; your family could enjoy a safe and cozy night inside. 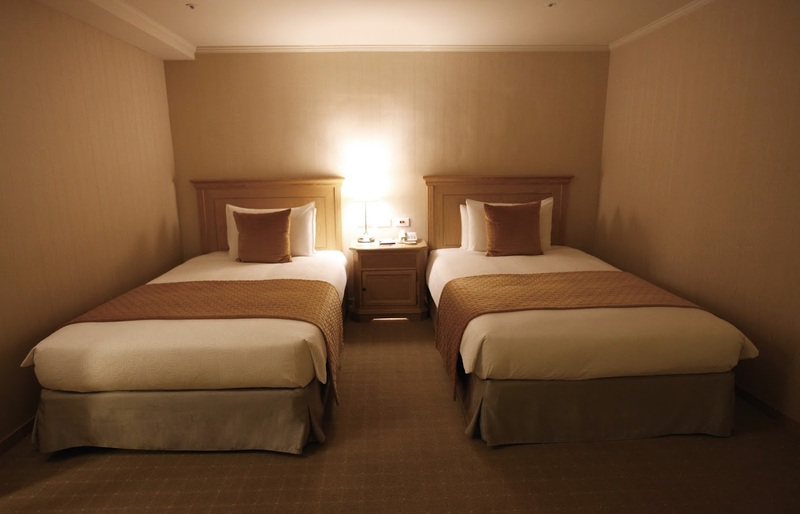 Comfortable anti-dust mite bedding and high-end furniture are used to make the room more elegant. 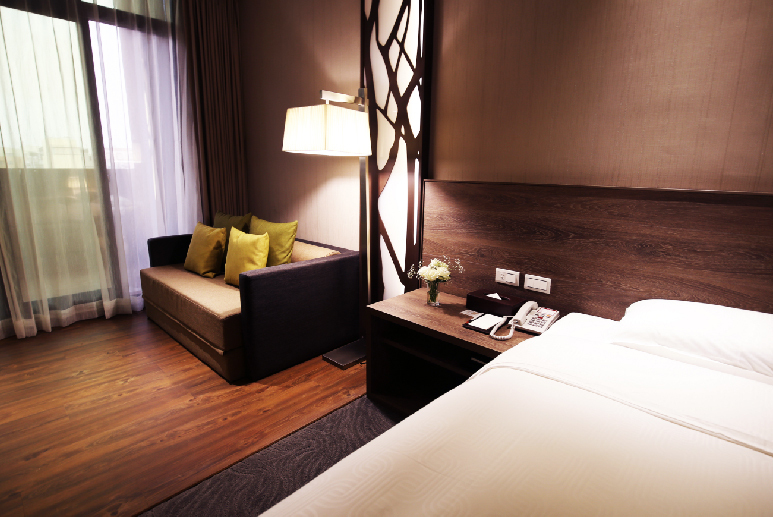 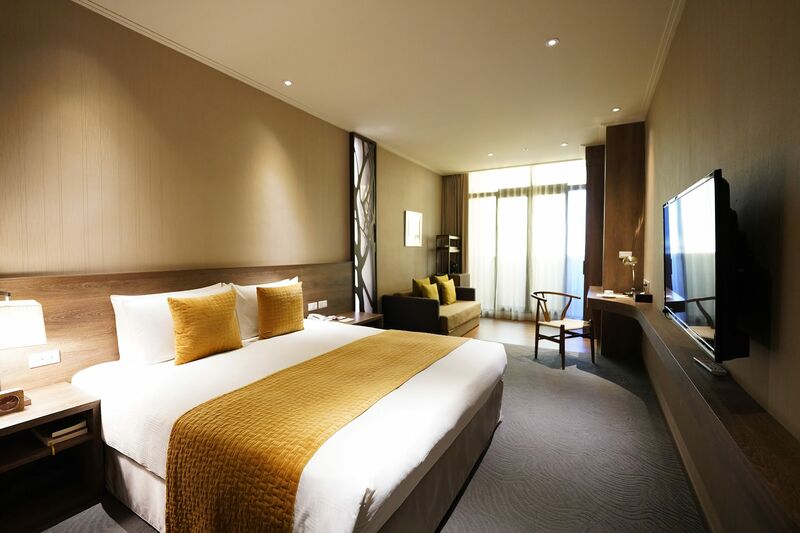 Decorations and furnishings in the room are particularly designed for your perfect taste for accommodation quality. 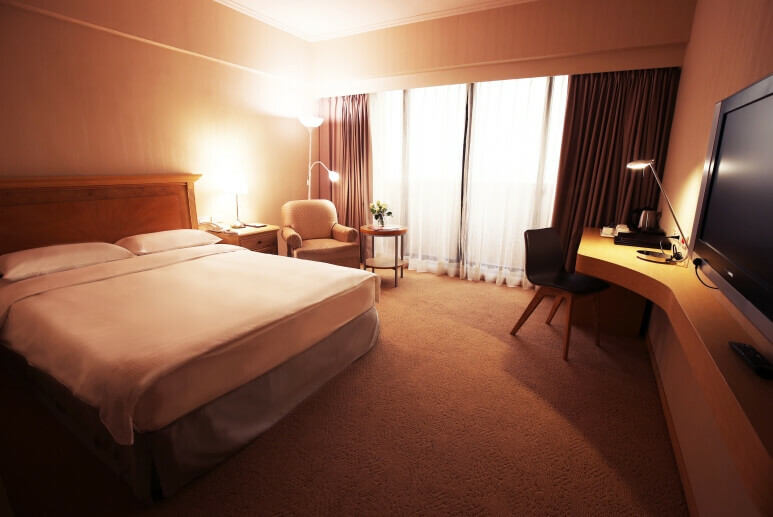 Besides, office desk and chair are of ergonomic streamlining design, allowing the guests to have an effective working environment while staying in our hotel. 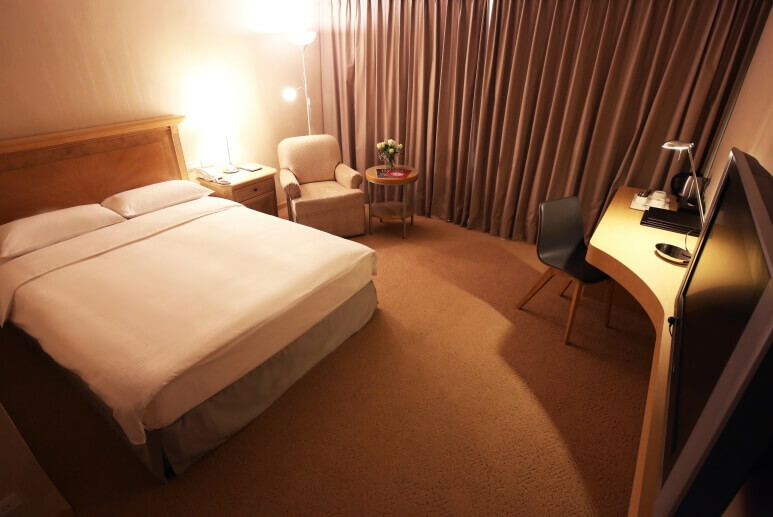 Guest room amenities: central air-conditioning; ethernet ; Wi-Fi; 110V and 220V power supply; CATV; refrigerator; bottled water; instant coffee/tea bag/welcome refreshments ; LCD TV; stationery. Hotel bathroom amenities: bathtub or shower; tooth brush; tooth paste; razor; shampoo; body lotion; body soap; shower gel; shower cap; comb; hair dryer; sewing kit; cotton buds; hair conditioner. 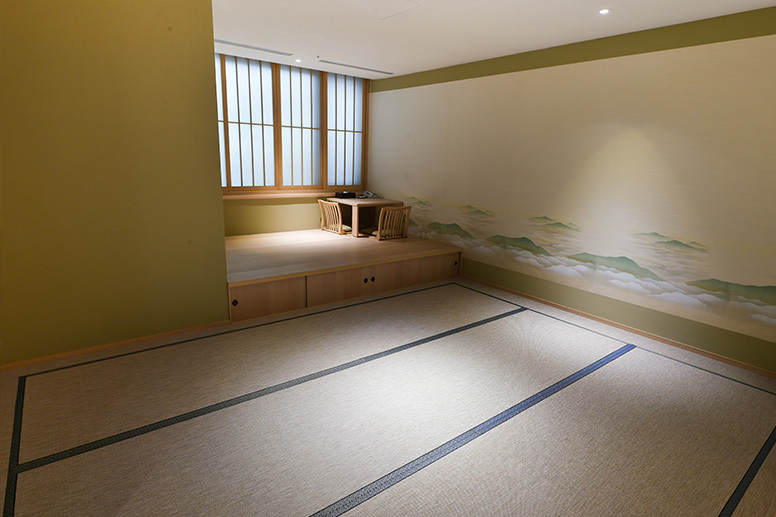 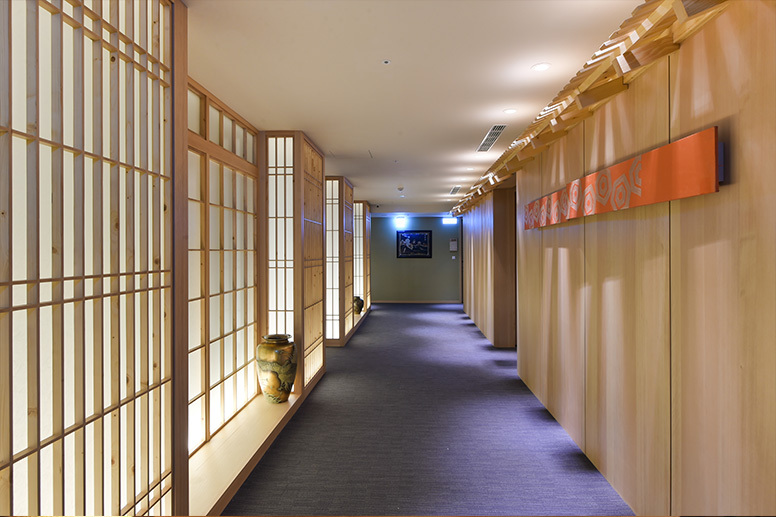 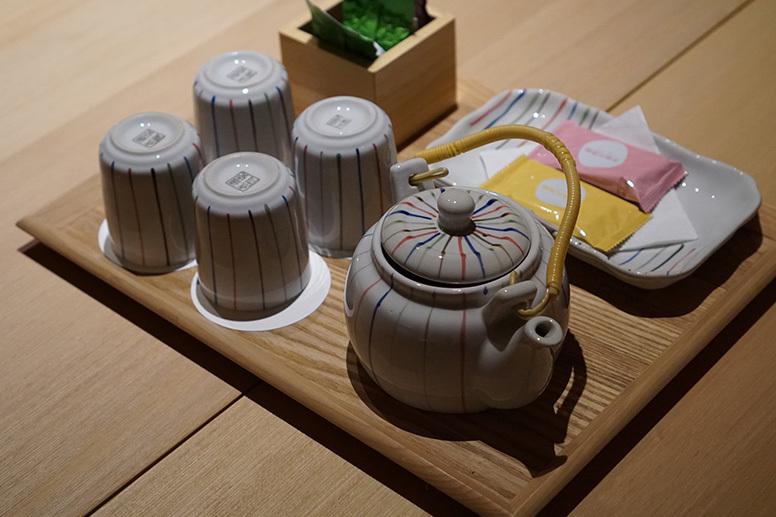 The interior space has a restrained and balanced Japanese tatami-style design, allowing the guests to experience the tranquil beauty of Japanese culture. 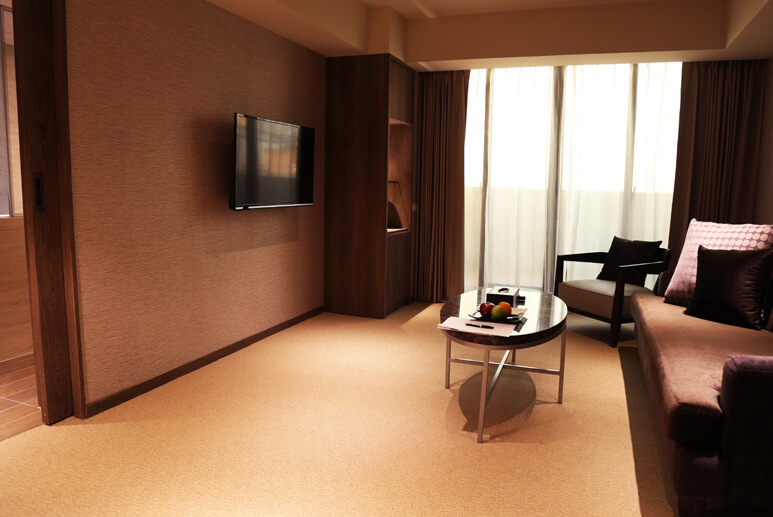 The independent suite area provides the guests with an environment where they could enjoy absolute quietness without being disturbed. 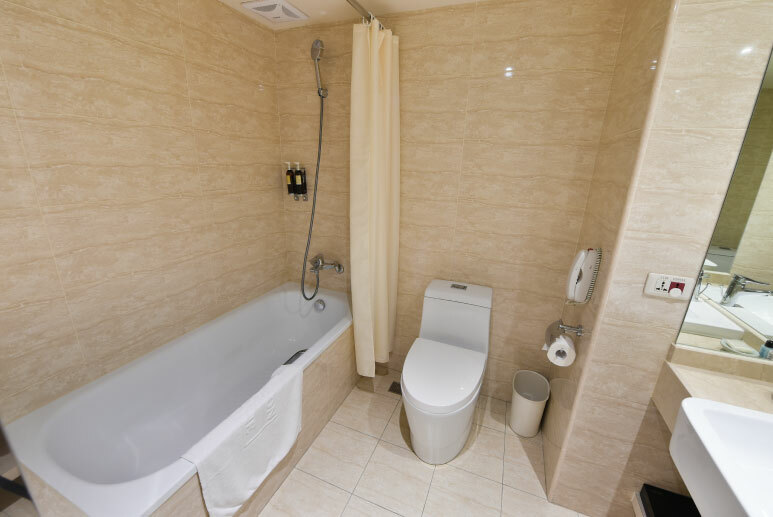 The room is spacious and comfortable; and with one living room plus one bedroom and ashower, the guests have their own private space to themselves. 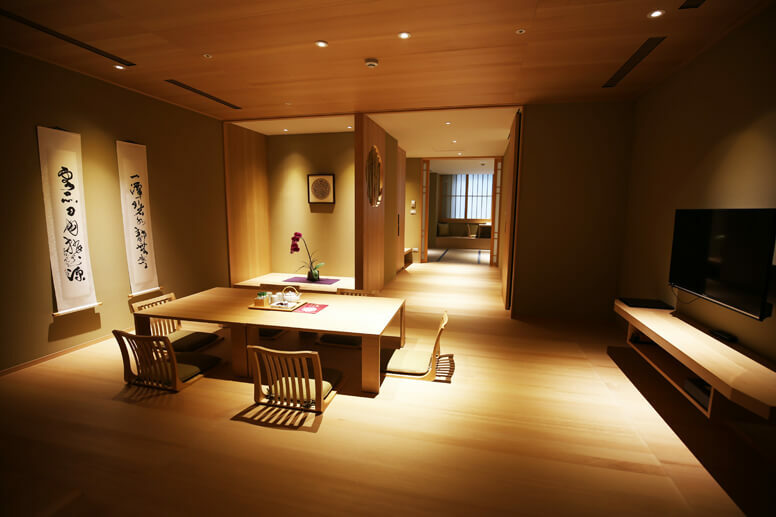 It is the best place for relaxation. 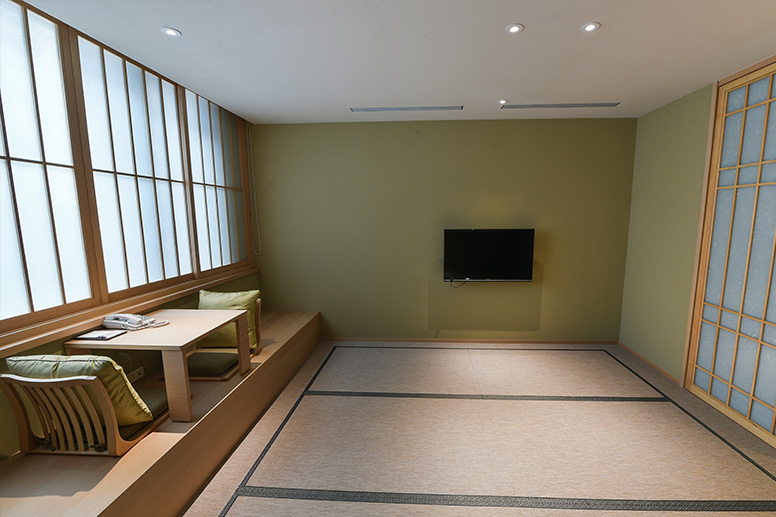 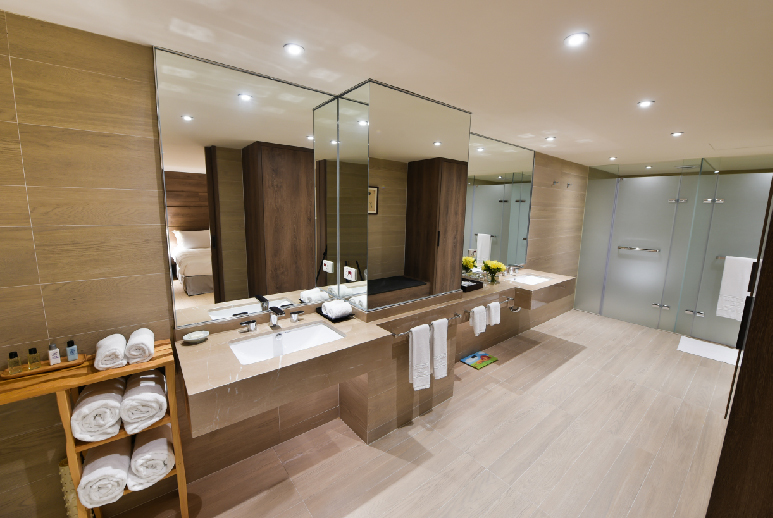 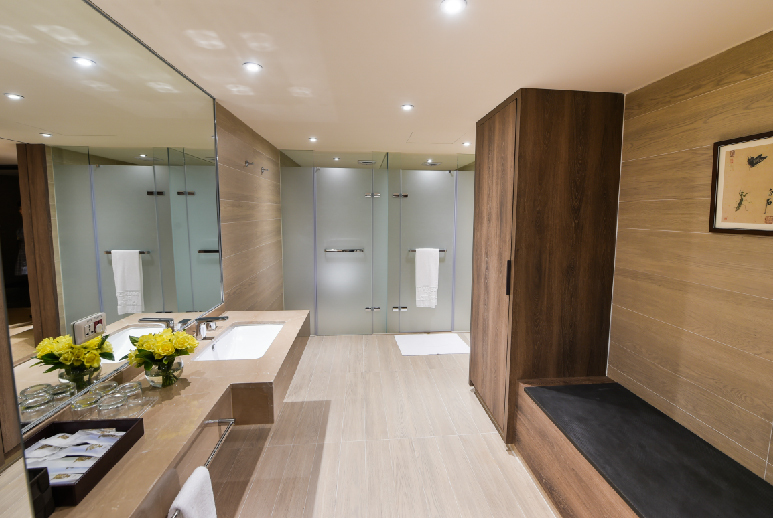 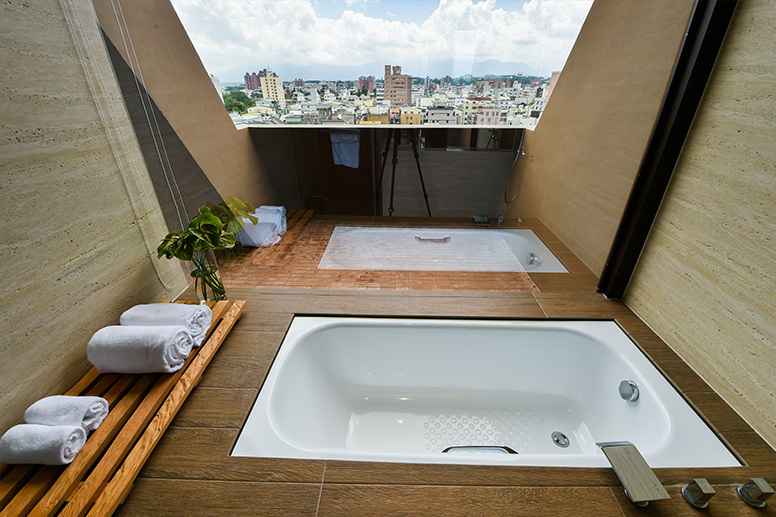 Come and enjoy a simple yet luxurious trip in our Japanese suite! 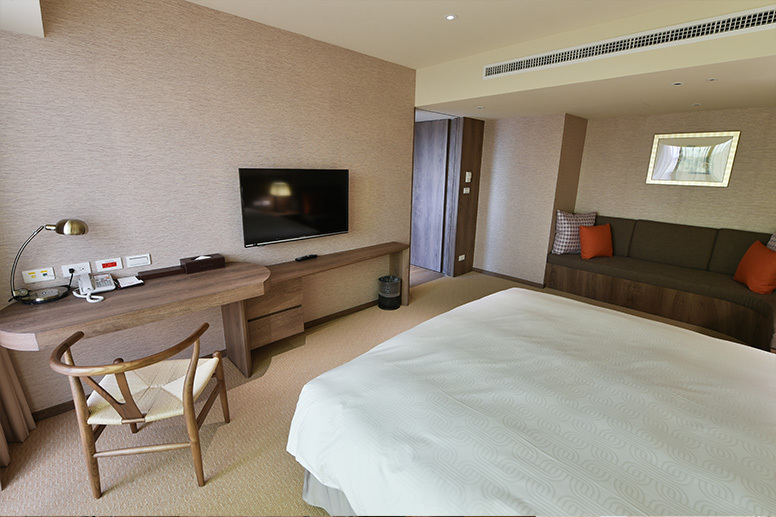 Guest Room Amenities: central air-conditioning; ethernet; Wi-Fi; 110V and 220V power supply; CATV; refrigerator; bottled water; drink; teabags/welcome refreshments ; LCD TV; Stationery; security deposit box. 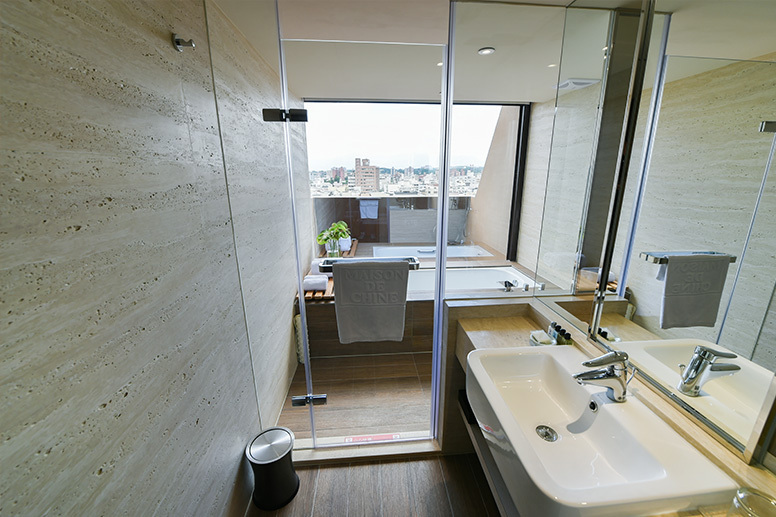 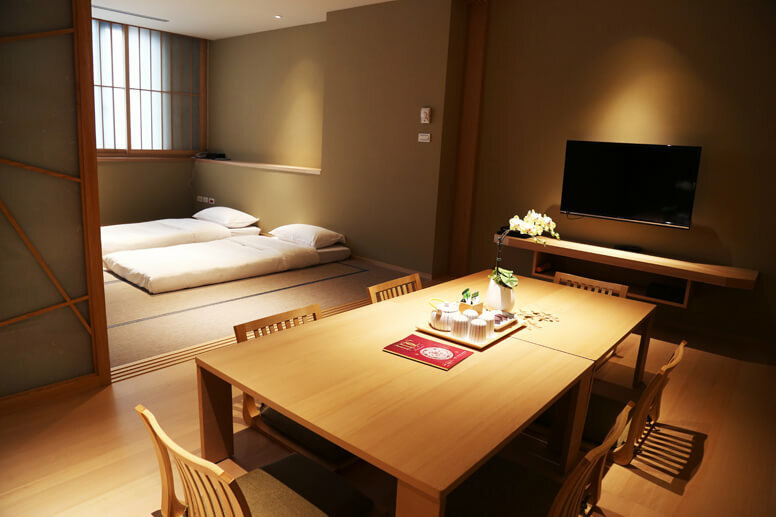 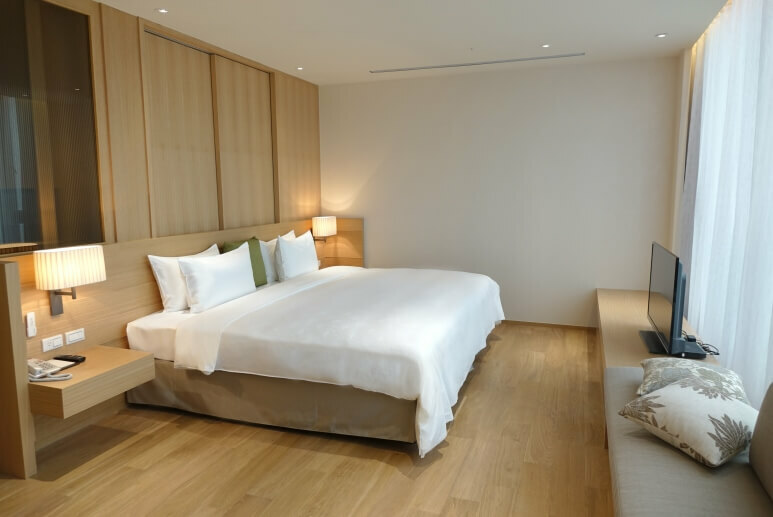 Japanese style rooms, NT$1000 plus 10% service fee would be charged. 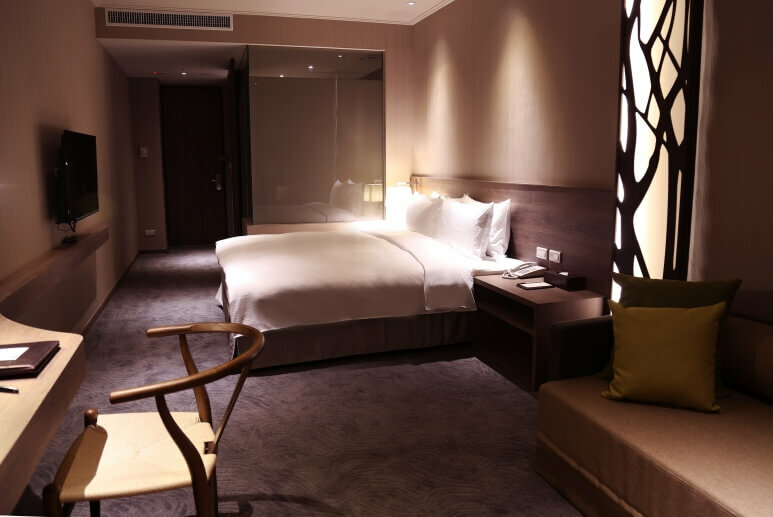 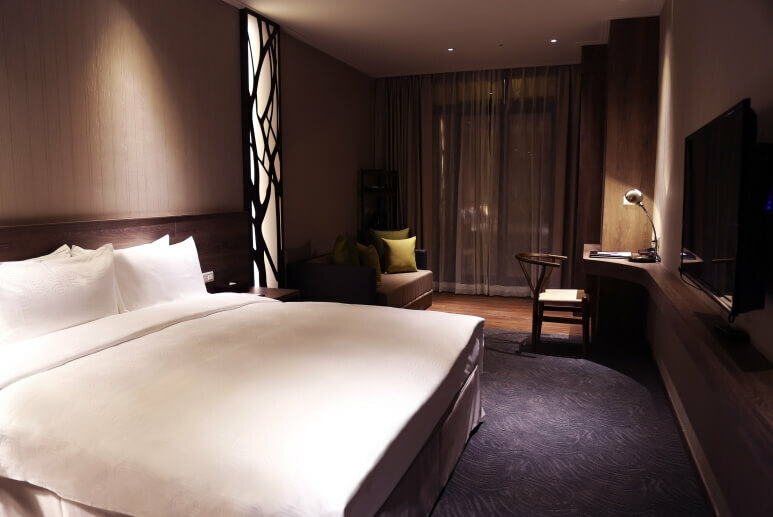 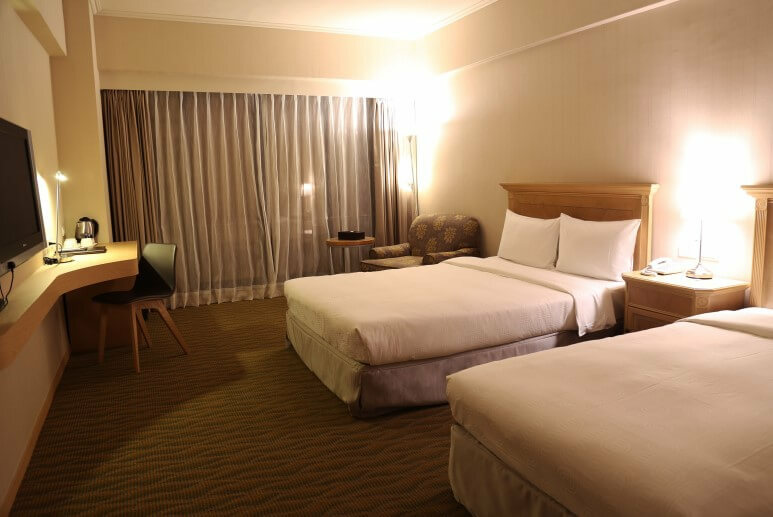 With comfortable beds displayed in the room, the place provides a cozy and simple environment that makes your stay here in the Hotel become a comfortable enjoyment. 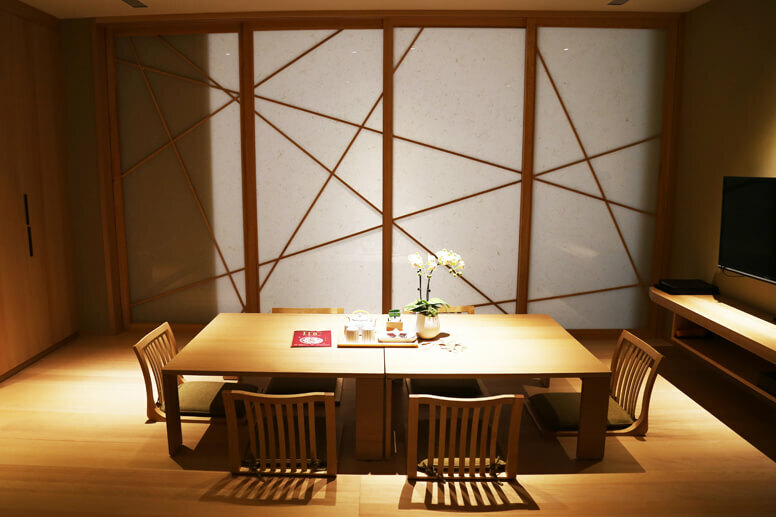 Well-designed,spacious and private space allows the guests to hold small meetings or concentrate on work inside the room without being disturbed. 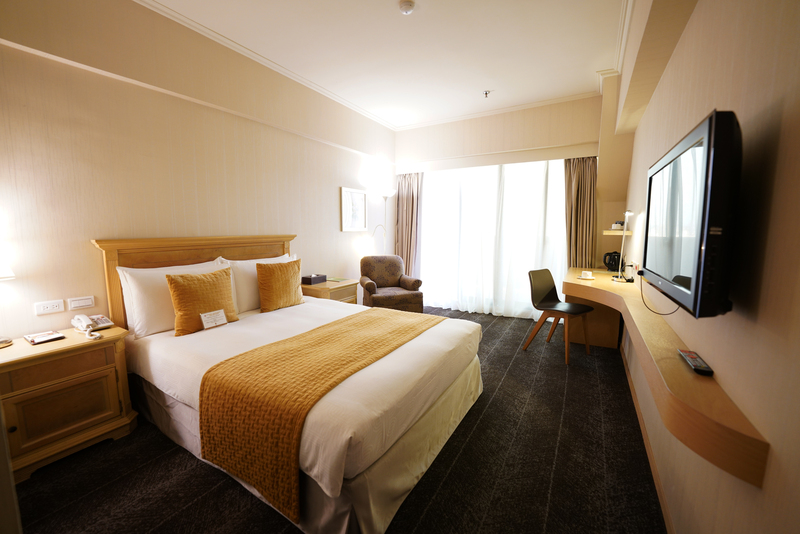 Guest Room Amenities: central air-conditioning; ethernet; WiFi; 110V and 220V power supply; CATV; refrigerator; bottled water; drink; coffee/teabags/welcome refreshments ; LCD TV;Stationery; security deposit box. 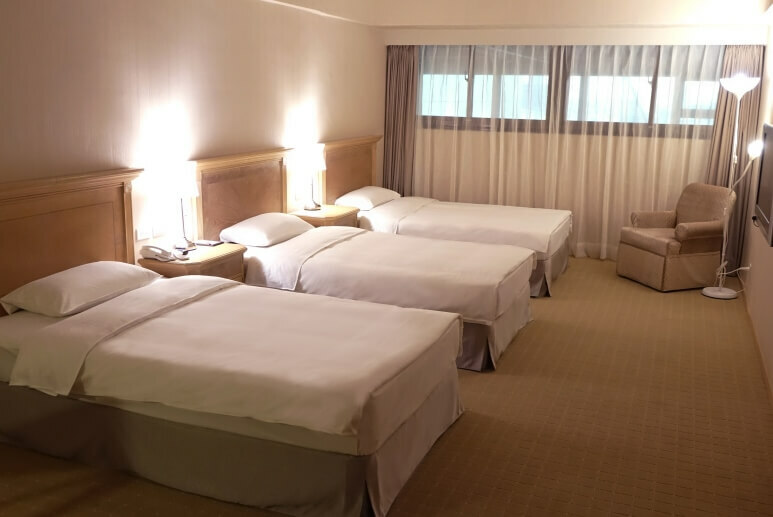 The room, being spacious and square-shaped, and with one living room and one bedroom, has great quality that could satisfy your taste and is perfect for various needs including trips with family and friends, groups, or for honeymoon. 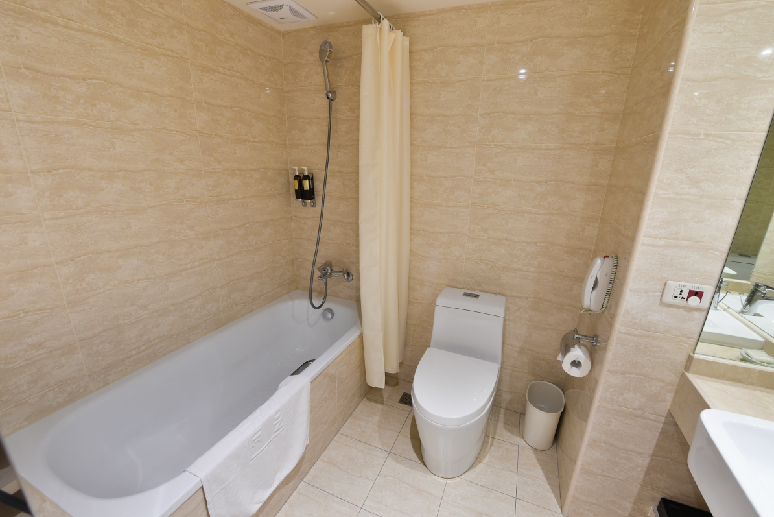 Hotel bathroom amenities: bathtub or shower; tooth brush; tooth paste; razor; shampoo; body lotion; body soap; shower gel; shower cap; comb; hair dryer; sewing kit; cotton buds; hair conditioner; bathrobe.